Over two years ago Qatar Airways announced their intentions to invest in Meridiana, Italy’s second largest airline (which isn’t saying a whole lot). The airline has a fleet of just 12 planes, consisting of 737s and 767s. It’s an outdated fleet, to put it mildly. Last November we learned that Qatar Airways wanted to rename the airline from Meridiana to Air Italy, so that it’s more obvious that they’re Italy’s national airline. The funny thing is that most Meridiana flights are already technically operated by an airline called “Air Italy.” In 2011 Meridiana Fly (as it was called back then) acquired Air Italy, and it’s now a wholly owned subsidiary of Meridiana. When I flew Meridiana business class from Naples to New York, the safety cards even said “Air Italy” on them. While we’ve known of the intentions to rename the airline all along, the rebranding is now official. Qatar Airways and Meridiana had a press conference yesterday unveiling the “new” Air Italy. The most visible change here is the introduction of a new livery, which is completely lost on me. While I can see where the desire for burgundy comes from (it’s one of the primary colors that Qatar Airways uses), there’s absolutely nothing about the new livery that comes across as Italian. I will say that the new livery is distinctive, though there’s something about it that feels like it belongs to a budget airline rather than a full service airline. 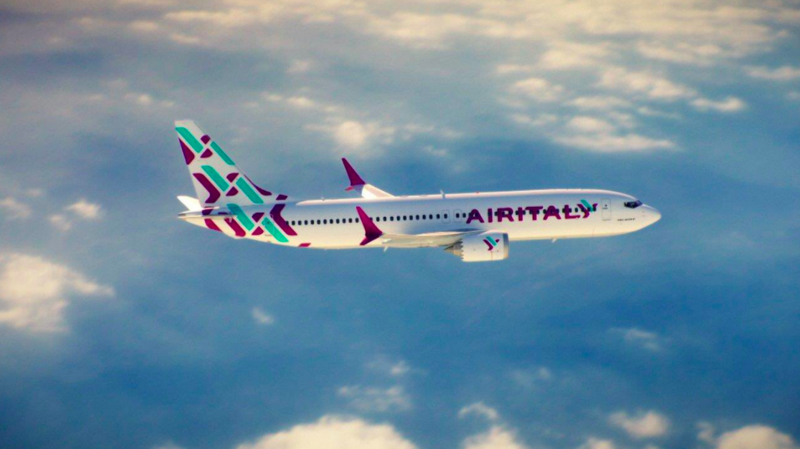 What other changes should we expect from Air Italy in the future? While previously Meridiana was a leisure airline that used Naples and Palermo as hubs, going forward the airline will become a business airline, operating most flights out of Milan, and also some flights out of Rome, presumably in hopes of stealing further market share from Alitalia. The plan is for Air Italy to be a full service airline, with business class on all flights, and a superior economy product as well. We’ve seen the Gulf carriers take on a lot of risky airline “projects,” though this has to be one of the most extreme yet. Etihad’s approach to their equity partners seem to be to give the crews new uniforms and introduce dine on demand in business class, and hope that leads to profitability (hint: it doesn’t). Meanwhile Qatar Airways is completely taking apart Meridiana and basically starting from scratch. On one hand they have a huge opportunity here, given Alitalia’s struggles. At the same time, there’s a reason Alitalia has performed so poorly, and one certainly has to wonder how Air Italy will be more successful. There’s just so much competition from ultra low cost carriers, both on short-haul and longhaul flights, that it’s tough for traditional network carriers to compete. Here we’re talking about an airline that currently has four 767s, which will be replaced by 30 787s. I don’t think we’ve ever seen a transformation quite like that before. What do you make of Qatar Airways’ plans for Air Italy? And do you like their new livery? 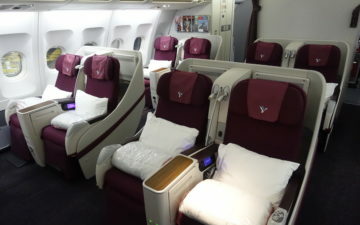 I’ve got a feeling that Qatar’s existing inventory of reverse herringbone seats could go to Air Italy as Qatar refurbishes their planes with Qsuites. Seems like a solid move if that’s the case. Is Lufthansa’s livery particularly German? What’s Japanese about ANA’s livery? 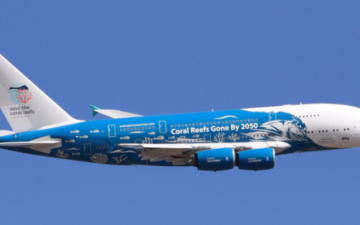 People aren’t bothered particularly about a livery, they won’t book a flight because they think the plane looks pretty on the outside! If they have good business class fares from Europe to Asia/US, I can see myself flying this airline a lot. They will take the 787 from Qatar which has a great business class product. And if their 737 aircrafts will have proper business class seats, you are already 10x better than other European carriers. This could become Europe’s best airline actually, beating Lufthansa should not be that difficult with their mediocre economy and business class product. I’d agree with Ryan: their main competition will be Lufthansa (all my Italian friends hop over the border rather than flying Alitalia). The important decisions will not be about external livery (Qatar’s own livery is not brilliant), but routes/frequencies, prices, and the hard and soft product. If they’re taking Qatar’s own equipment as is, the hard product will be pretty decent. With Qatar apparently very hands-on, the soft product stands a good chance of being right. I wouldn’t invest my own money in it, but this stands a better chance of working than many such takeovers of failing airlines. 1. Air Italy is a clunky, tongue-twisting name to pronounce, or remember. Meridiana is admittedly also fairly difficult to pronounce. I realise their desire to sound national but surely something like Air Napoli or Sicilia would have been far more memorable? 2. Cheap, confusing livery with no links to Italy at all. It looks like LEVELs regional subsidiary. The Qatar Oryx looks so slick and iconic in comparison. 3. An incredibly difficult market to turn a profit in. Domestically, the Italian train nertwork is comprehensive, reliable and affordable. Intra-Euope, Italy and especially Milan have done the exact opposite of Germany and Frankfurt in encouraging foreign LCCs to flood the market meaning Ryanair have a complete strangehold on Milan’s airports. Unless Air Italy will be joining Oneworld (presumably they’re not), or can compete on price with LCCs (which they cannot) I can’t see why any Italians (or Europeans for that matter) will be paying a premium for Air Italy. For long-haul I still think Italians will be very price sensitive (Italy is hardly the strongest economy in Europe). All it will take is for LEVEL or Norwegian or WOW to focus on Italy to cannibalise any long-haul market-share Air Italy may manage to scrape together. 4. Where are Qatar getting the money from for all these planes? I thought they were cash strapped? I could understand them using their intra-Gulf A320s that have been sitting idle since the Gulf blockade to try out new, underserved routes. Qatar should be spending any spare cash they have on speeding up the QSuites rollout/conversion (which is taking forever) so they can quickly establish themsevles as having the worlds best business class and market the hell out of that. 5. Have they learnt nothing from Etihads investments in Air Berlin and Alitalia? What exactly do they think they will be able to do so differently? It boggles the mind that this business plan was approved by the Qatar board especially as they seemingly no longer have endless money. They want to be Italy’s national airline, remember? Naming your airline after a particular region would not bode well for the already fragmented country. Interestingly Meridiana actually started off as Alisarda and was set up by Aga Khan to develop air connections to Sardines. 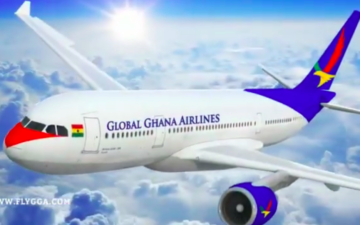 I think it is fine they decided to want to become the true national carrier, but the branding should reflect that – which it doesn’t. I agree this isn’t the only way people choose airlines though, QR don’t have amazing branding but I choose them because I know they are genuinely great, so maybe this will be the case here. If that doesn’t tell you about the distrust of the different parts of Italy have for each other then I don’t know what does. On another note, I’d expect them to join oneworld once they sort out their fleet. Also, if you think the Qsuites roll out is taking forever, then you have obviously not seen the absolutely stunning pace UA have been installing the Polaris seats. And to be honest I would be very disappointed if Air Italy doesn’t follow QR’s lead and decides to install those terrible slimline seats on Y and blocked middle seat C.
And about those narrowbodies; I find it highly suspect as to why QR decided to order a bunch of new planes when they have plenty of unused A320s because of the Gulf crisis. I mean, Air Italy is going to lease 787s from Qatar anwyays (if the plan goes through). Hello, has anyone looked at the Italian flag lately? Last time I looked it was Red, Green, and White (you know tomato, basil and boccancini). OK, so they went for burgundy, mint and white – I still think the national colour reference is obvious. That tail pattern – not so much. Nonsense. Read Lucky’s post of a couple of days ago. Then compare the pace of Qsuite fitting to United’s installation of Polaris. While most of us are shocked at the ambitious timescale in which Qatar aims to fit Qsuites to its fleet (to the point of scepticism that they’ll achieve it), no sane person could accuse them of being slow. I’m wondering about all those 787s shifting from Qatar to Air Italy; Qatar took delivery of its first A350-1000 today. Maybe they’ve decided the Airbus is going to be their fleet workhorse, not the 787 which is anyway too small to take the Qsuite as currently configured. Maybe they’ve decided the compromises needed to squeeze Qsuites into the 787 are too severe – hence, offloading the 787s to AI? Pure speculation on my part, and probably wrong. Done correctly, this could be a great airline and hopefully raise the Intra-Europe business class standards across all carriers. I just hope it doesn’t get bogged down with ridiculous union disputes or the typically quite corrupt/incompetent Italian management. I think you guys are over-rotating on the livery and missing probably one of the main reasons for the Qatar livery colors: they’ll be getting Qatar birds, so they’ll save millions by not having to redo the interiors…the paint and swag will all match. Excellent business decision, with the additional potential side benefit of consistent hard product with Qatar when inevitable connections/code sharing with Qatar grow over time, which could help drive incremental revenue. 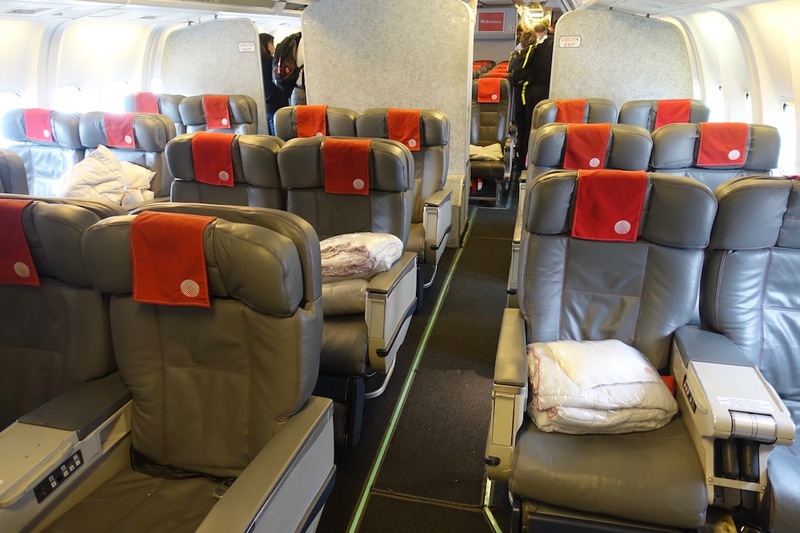 Could we see a real business class on the 737s? If so then I think they might be in with a chance. You are spot on. Bakar confirmed today at the A351 handover that he would transfer the 787’s to Air Italy with a product that was comparable to QR. He also confirmed the Qsuites on the 787 would be a modified version because “its too narrow”. So they will get a modified QSuite as will upper deck A380. QR offloading 787s to IG could sound interesting. They have another 54 Airbus 350-900/1000, 30 787-9, and plenty of 777X coming their way. My hunch is that QR will slowly offload all 787-8 as the new 787-9 roll in. They would replace their 787-8 1:1 with 787-9s. Moreover, it would save them the trouble of retrofitting the 787-8. I suspect that we’ll see the QSuites 787/A380 adaptation around the time the -9 will be introduced with QR. Sending the -8s with the current configuration to IG seems therefore rather interesting: IG will have a very decent hard product and QR won’t have to retrofit those planes. The main problem is that the airline is choosing MXP as hub. This takes away all the traffic from northeastern and northwestern Italy, which is the main market, other than Milan itself. By using AZ, a person in Turin or Venice can take a feeder flight and proceed to FCO for the longhaul. MXP is a disgrace, it has got no high speed train connection, and is a long way from anything other than Milan. The airline will not be attractive for business customers. Isn’t anyone getting annoyed by the fact that Airitaly is written as one word instead of Air Italy? written as one word and read as such it sounds rather similar to Alitalia! The lively could have been more creative – looks like Eurowings and don’t forget Eurowings is meant to have a base in Milan when LH takes over Alitalia. I don’t like the branding either. I dislike the colors ( besides the fact that they look similar to Eurowings), it looks incomplete, too casual and generic. I was expecting something more elegant yet modern. By the way, Unions are the major problem in Italy. Ben – Why on Earth would an airline based in Milan and Rome call itself Air Napoli – you do realise Napoli is a place? And while I dislike the name, how is Air Italy hard to remember? Seeing as they’re owned by Qatar, I really hope they join oneworld. This’d go some way to cover the alliance’s gap in central europe. I really hope it takes off. Italy is a great country and has always opened itself up to tourists in a hospitable way. And don’t fk it up! I am very confused about what 787’s Qatar Airways will give Air Italy. QR have 30 -8’s and 30 -9’s on order. So will it be all -8, all-9 or a mixture. I am also really confused about the business class on the 787. Will it be the old reverse herringbone or the new modified Qsuite? For the purpose of simplicity why doesn’t QR give Air Italy all of its a330’s and several 787’s. This whole Air Italy situation just confuses me. I also want everyone to start making bets on the future of Air Italy. I’ve got money on them ending up in financial ruin by 2020. Finally a new airline after the disaster of Alitalia on Rome Fiumicino, Milan Malpensa is the only airport in Italy good for a hub with a outstanding terminal 1 designed for transit. 50 new destinations are planes and Sea Milan Airports plan a dedicated new satellite for AirItaly and One World Alliance. From Milan Garibaldi and Milan Centrale stationsyou can reach any Italian city, both stations are served by the Malpensa Express trains. MXP is the first airport for business passengers in Italy and 45 km from downtown Milan is normal for a city of 5 milioni people (grande Milano). Also for Lufthansa Group MXP is the first airport in Italy (more than 1,5 mil pax last years on the 6 mil pax made in Italy, the open a new louge in MXP (340 sq maters, cost 3,2 mil euro) and airlines as Oman Air, Qatar, Emirates, Singapore, Saudia, Cathay Pacific etc etc are making huge profit with business pax. If you go in the many airport parking you will find car plate from Trieste to Torino, from Bologna to Genova or Switzerland, The refrain that MXP is not a good airport and impossible to reach (73% better connected than MUC for example) is fantasy, sorry.